Brands leverage Twitter not only for creating a buzz but also integrate this micro-blogging platform to bring in live interactivity with users. Whether it’s about launching a new product, service or feature, or about creating offline bond with followers, Twitter has been an integral part of a number of campaigns. 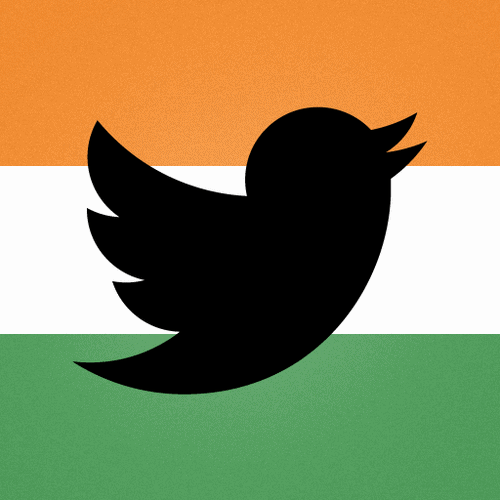 Check out these 6 Indian Twitter campaigns that rocked 2013 providing good takeaways for us. Objective:Creating a buzz among masses about the finale of its dance reality show ‘Nach Baliye’ featuring celebrity couples. 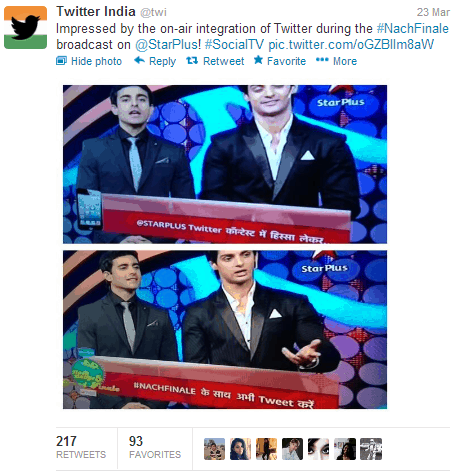 Viewers of the show were invited to participate in the Twitter contest through an on-air integration during the live broadcast. Results: Apart from the celebrity judges and the fans tweeting about the finale the television viewers to tweet in real-time too. Results: The hashtag trended for 14 hours at the top and more than 4000 tweets (approx) were generated. 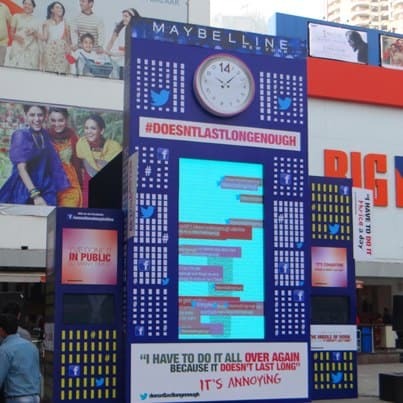 Not only it created the buzz but they also started receiving loads of queries from fans asking what Maybelline is going to launch. Objective: Croma Retail and its digital agency, Interface Business Solutions wanted to bring about a change in society and more importantly, act as an enabler towards the change. They wanted to promote girls education in the country. 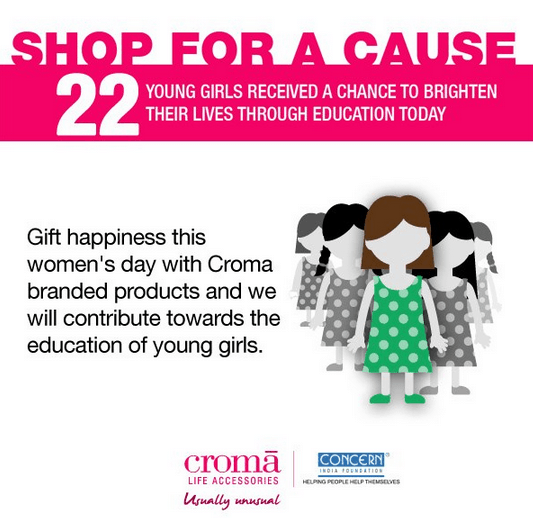 Approach: They launched a win-win campaign by putting every Croma branded product on sale for the women’s day week with an objective to give a percentage of the money to the charity to help educate a hundred young girls. This was promoted through Twitter by asking twitteraties to tweet with #aWomanWants and share all that they thought a woman wanted. Results: #aWomanWants topped the trends on Twitter and even made it to the top ten world Twitter trends. Objective: To create a buzz about its new ad featuring the king of Bollywood and brand ambassador, Shahrukh Khan. Approach: Launched an interesting campaign on Twitter called hashtag #SRKLovesFrooti, and users were asked to tweet why #SRKLovesFrooti if in case they want to win SRK autographed jerseys, iPads and more. 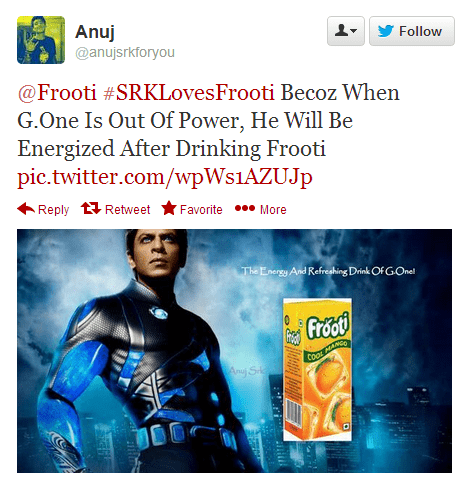 Results: #SRKLovesFrooti strated trending instantaneously. Objective: Creating a buzz for its new ‘Try-n-Buy’ value proposition that allowed a customer to try the product before buying it. 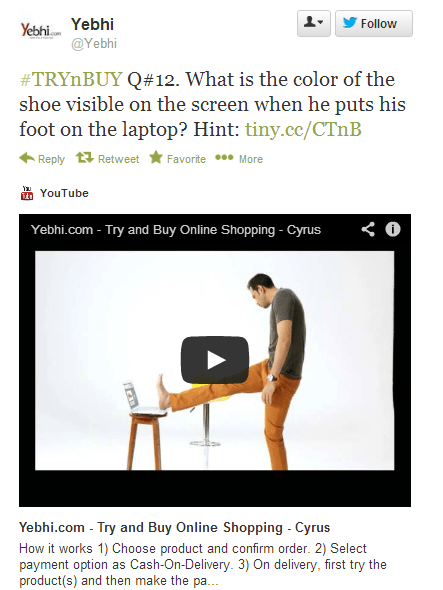 Approach: Yebhi launched a Twitter contest using the hashtag #TRYnBUY, where Twitter users were invited to answer 21 questions relating to the new TVCs that they launched for the feature. Results:#TRYnBUY trended for 50 hours with a total reach of 3.37 million. 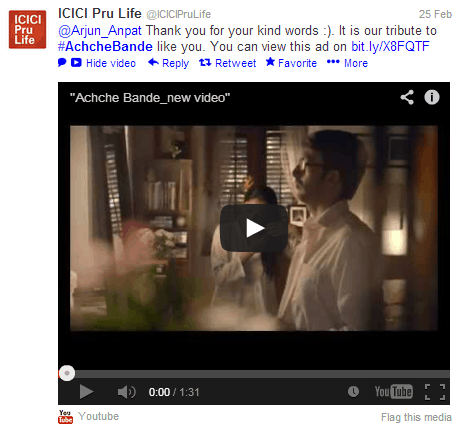 Objective: Creating a buzz for its latest TVC revolving around the good men in our lives. Approach: An impressive campaign titled Achche Bande with hashtag #AchcheBande was lanched on Twitter inviting Twitter users to tag the good people in their lives, if present on Twitter. Winners were chosen by maximum number of tweets that were also unique. Results: #AchcheBande trended the whole of its first in India and was at the third position the next day on Mumbai trends list.